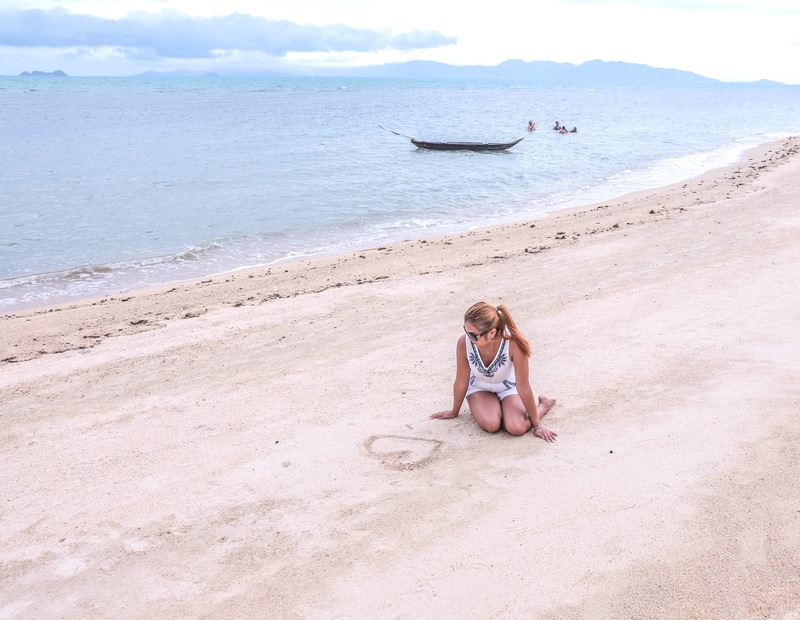 What is there to do in Koh Samui? – Travel. Live. Eat. 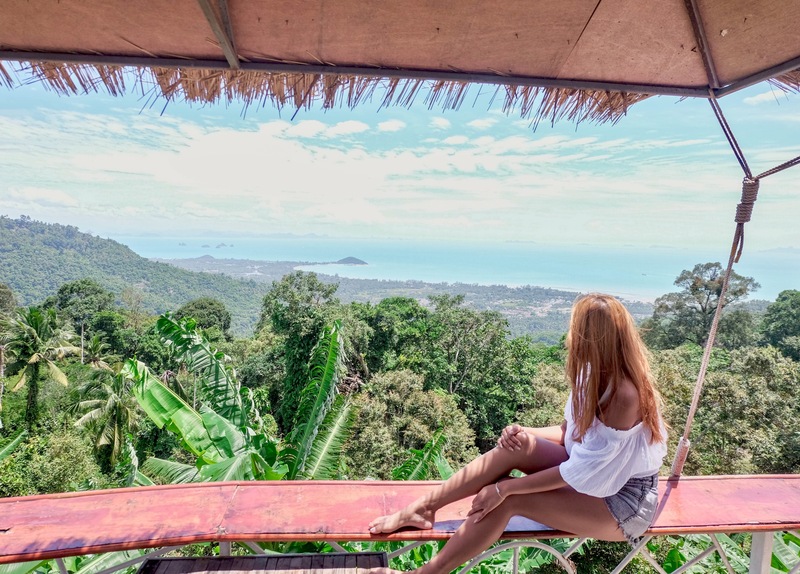 July 28, 2017 August 1, 2017 travel live eat4 Comments on What is there to do in Koh Samui? 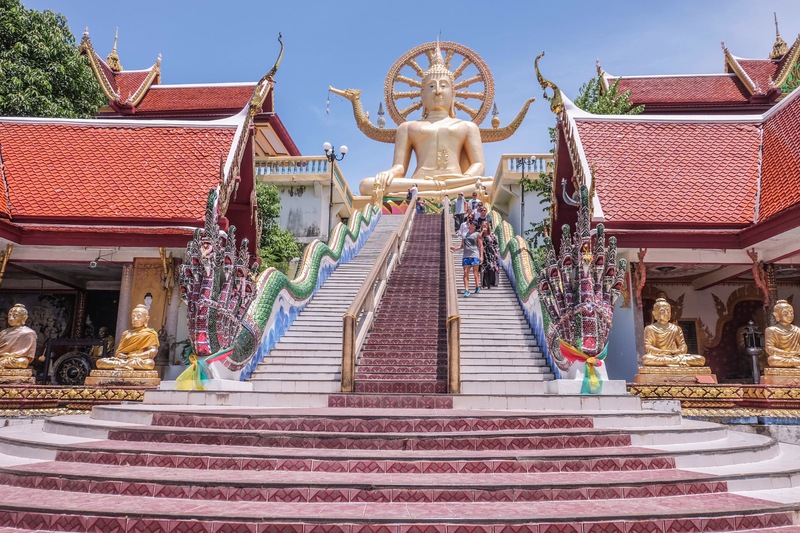 Koh samui, the second largest island in Thailand, is only 1.5 hour ferry ride away from Surat Thani. 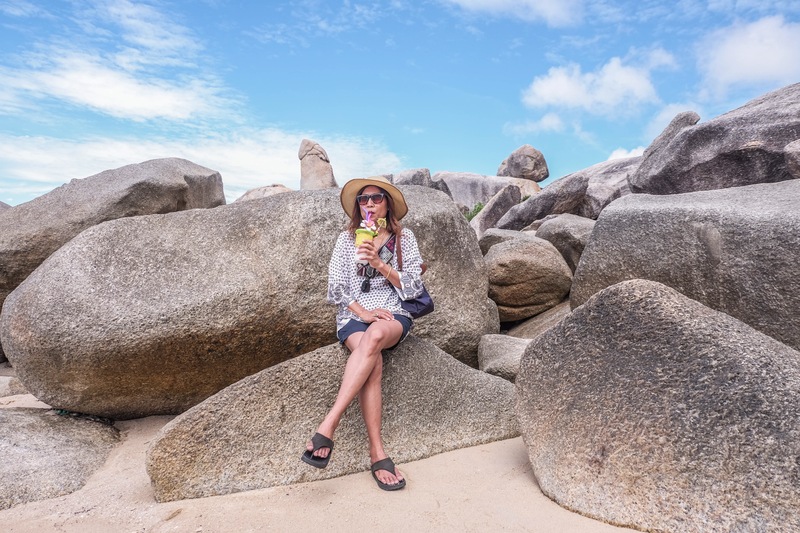 It’s known for many things such as beaches and resorts but there are more things to explore than that; here are things you can do if you plan to spend your summer in Koh Samui. 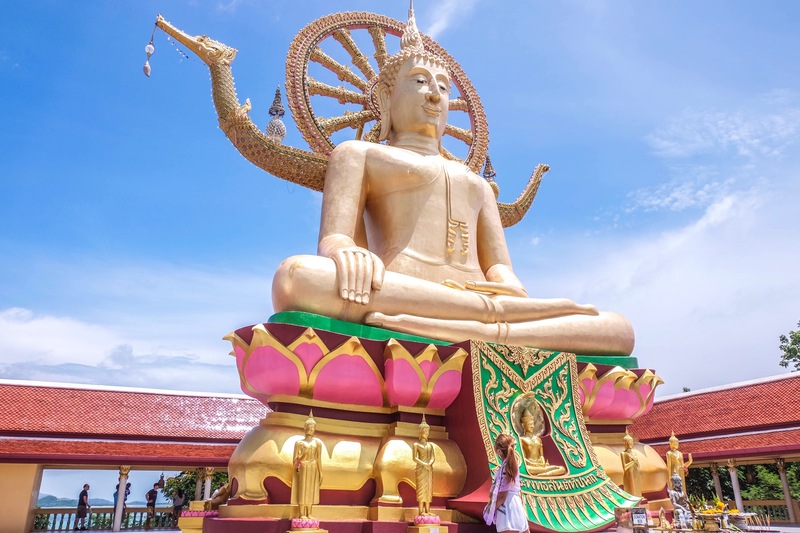 This Big Buddha is the iconic sight of Koh Samui. 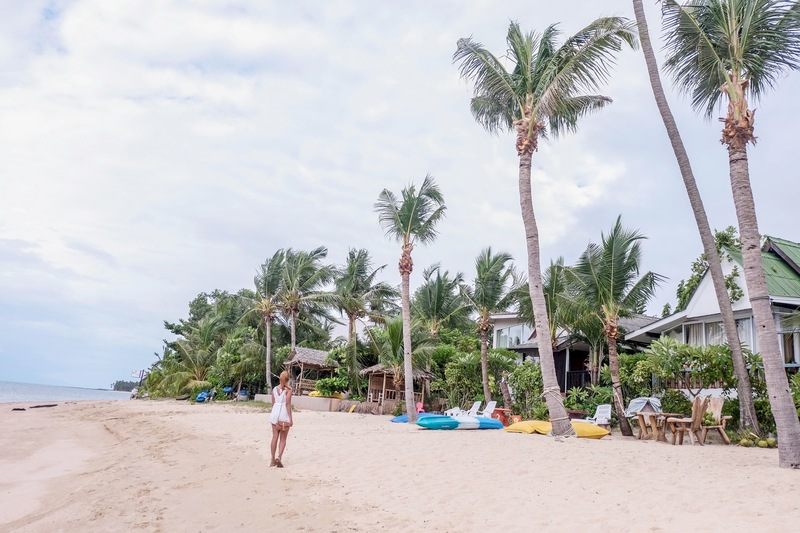 If you haven’t visited, you really can’t say you’ve been to Koh Samui. By the way, don’t forget to wear something that covers your shoulders as it’s the rule of the temple. If you do forget then you have to use the scarfs that they give out in front of the stairway for lease before you enter the area! 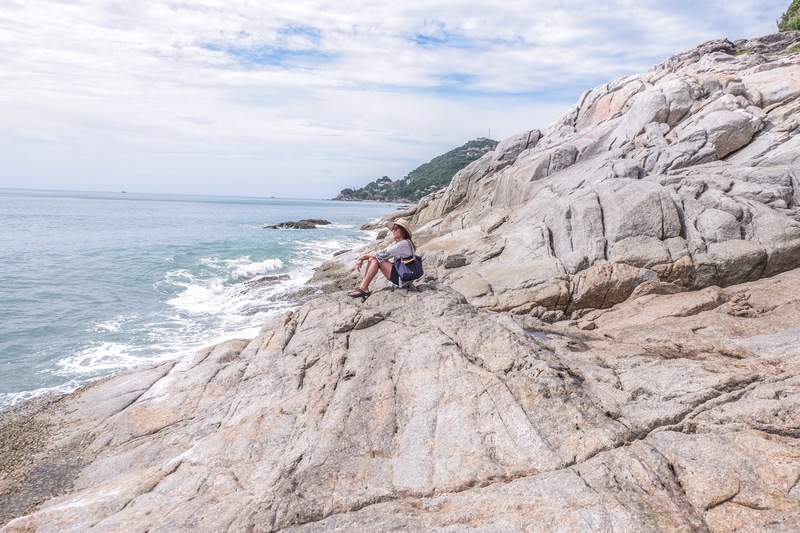 The rock formations locates by the coastline have two separates forms; Hin ta (grandpa’s rock) and Hin yai (grandma’s rock). The water is especially blue around here. The shapes of the rocks are very interesting and were formed this way naturally; in terms of what they look like, I’ll let your imagination do the work when you come and see it for yourself. 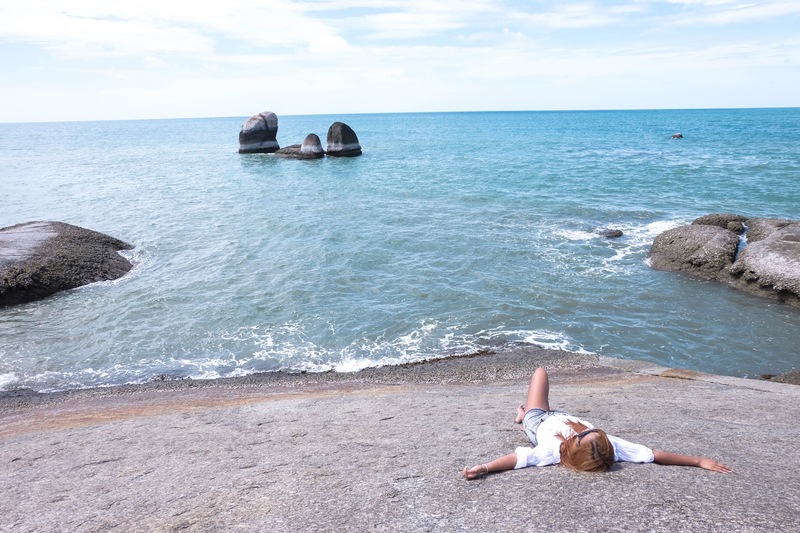 Maenam beach is basically the coastline that separates the water line and the shore around Samui island. You can take a long stroll and you would end up in the beach areas behind various hotels. It’s especially peaceful and lovely when the sun is setting as you get to see the pinkish red/orange sky while picnicing with friends or family. where you can get an up close sight of the ocean waves kissing the rocks, for some reason it was very fascinating and relaxing! Koh Samui has countless number of motorcycle rental stores, you can rent approximately from 1,500 Baht ($50 USD) a day. It won’t take you long to explore the whole island, as the road that circles around the place is about 67.5 kilometres long. Don’t have to worry about getting lost, no matter which direction you take you would easily end up at the main road. Stay on the main road and enjoy the view as you ride by, and in no time you will end up at where you started. Not sure why this place is not well known amongst tourists, because it’s such an amazing place. I would say Rai Yai Pan restaurant should be the iconic viewpoint of Koh Samui! It’s about 15-20 minute up hill but it’s so worth it. From the restaurant you get to see half the island, not even sure how high it was from the lower area but it was pretty high! I was pretty sad that I didn’t have a drone as it would be so beautiful to see the view of the island from above but this place showed me that I didn’t need one! And they’ve got spots for you to rest and enjoy the nature by your tables. Even though it was really windy, the atomsphere was so relaxing as it’s location is away from the main city area. No, I’m not talking about just clubs and ladyboy shows (similar to burlesques). What I’m saying is that the streets come alive at night; that includes amazing seafood restaurants, shops, malls… EVERYTHING! What does it look like? Pattaya! A busy city so lively and bright. If you’re looking for good restaurants to eat, it’s hard to find some during the day as they are mostly opened in the evening and at night. The only ones you’ll find during the day are small street local restaurants. 8. Say bye to beaches, go diving! Islands are no fun if you don’t get to go diving. It’s a MUST, as near the shore water isn’t that clean but if you go a bit further it gets clearer and more beautiful! This place looks incredible. I love the photos, so scenic and beautiful. I’ll have to get myself there one day. It looks amazing, I missed it in my trip to Thailand unfortunately. It is overwhelming like Phuket or does it have a more laid back vibe? Previous What is HongKong like?